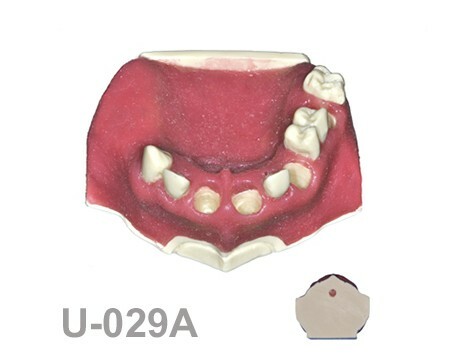 U-029A: Partially edentulous maxilla. 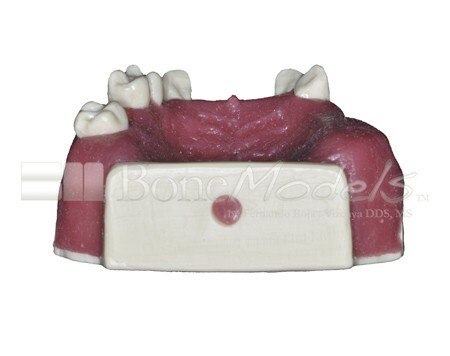 Perfect sockets in both centrals and in 1 molar, 1 socket with dehiscence in the canine with soft tissue. 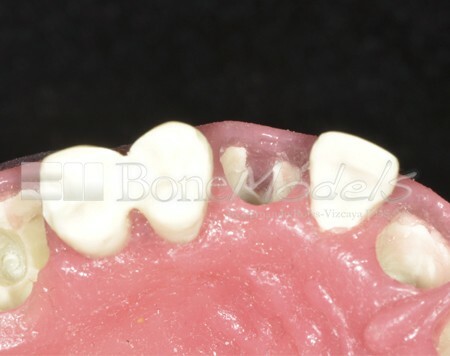 – Partially edentulous maxilla with soft tissue. 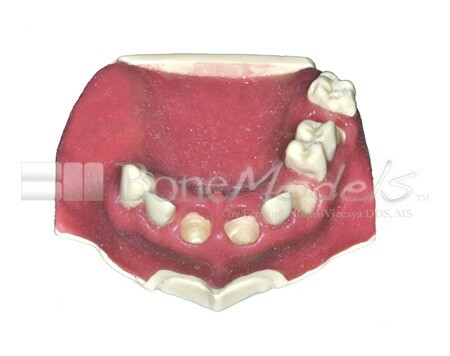 – 3 Perfect sockets in both centrals and molar – 1 socket with dehiscence in the canine. 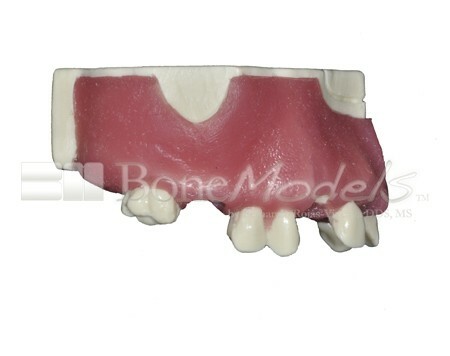 – Model without sinuses. 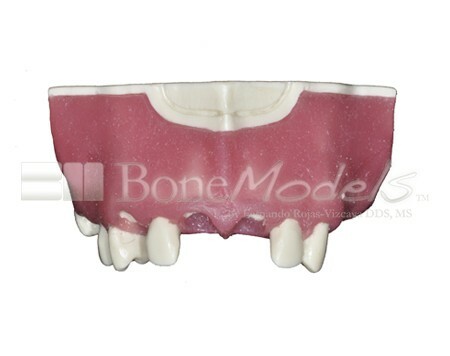 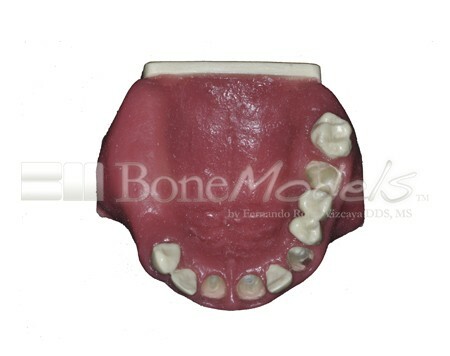 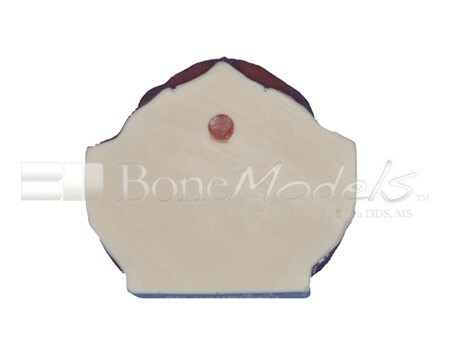 – This model is ideal to place implants with different lengths and diameters. 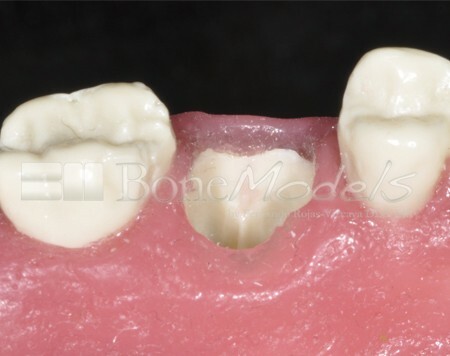 – Perfect model for socket preservation technique. 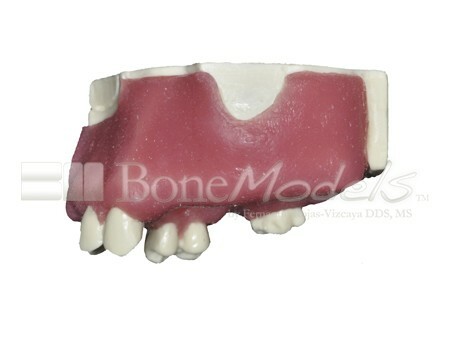 -Ideal for suturing.